Growing cannabis hydroponically is quickly becoming the hottest trend among marijuana aficionados, and that’s for some good reasons! Cultivating weed with the help of hydroponic setups allows growers of all levels of experience to enjoy maximized yields faster than with any other method. And while hydroponic systems are great in variety, if you are about to utilize the best DWC system for your marijuana plants, then you are in the right place. 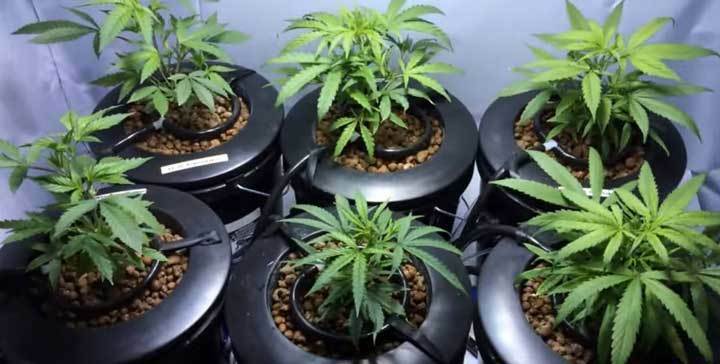 We are going to discuss the benefits of DWC hydroponic setups, as well as share with you the best tips and tricks how to choose and maintain the most suitable DWC system regarding to your personal preferences and growing demands. 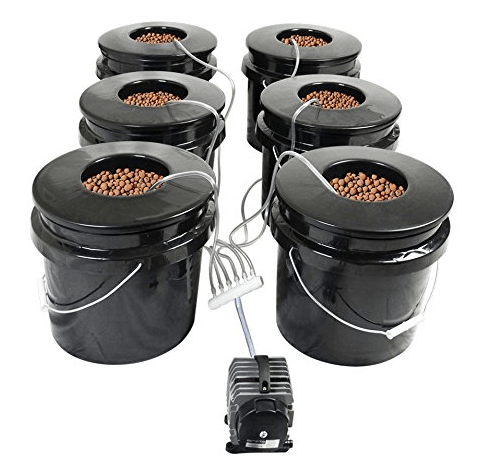 What Sets Apart the Best DWC Hydroponic System from the Rest? As a rule of thumbs, all hydroponic systems can work wonders for your marijuana garden and reward you with never-seen-before results upon harvesting due to the major concept about hydroponic growing – the absence of soil. The soil is, of course, a fantastic growing medium, however, especially when it comes to cannabis cultivation, the advantages of growing hydroponically are much more than choosing the traditional soil growing method. First off, when using a hydroponic system, the entire growth support is focused on transporting all the vital elements directly where you want them to be – in the buds! That’s because the roots receive the essential nutrients pretty straightforward – there is no need for the roots to stretch and dig deep into the soil in search of nutrients. Instead, the nutrient solution provides everything that your green beauties require in order to flourish. Subsequently, the marijuana plants which are grown hydroponically can become 3 times bigger than ordinary marijuana plants. But most importantly, the nutrient intake is controlled perfectly well during the entire growing process, and this is done solely by you! When it comes to utilizing a DWC system for weed, this is one of the best options even for beginners! Yes, growing hydroponically for the first time often seems intimidating to newbie gardeners but it doesn’t have to be that way. DWC systems are super easy to assemble and once you are done with the initial set up, DWC is almost effortless to maintain. In fact, you only have to monitor the reservoir and, of course, keep a close track on your system as to make sure everything is functioning properly (but that is pretty much the same with any other kind of setup, even if it comes to traditional growing in soil). Okay, so we have figured out that a DWC system is both beginner-friendly and low-maintenance, along with promoting massive yields, and that’s a good start! But we also know this is totally not enough so that you can gain a better understanding over the way a DWC system functions (and what exactly is going to be your part of the process). So let’s get down to business and find out everything you need to know about growing your weed with the help of a DWC system. DWC stands for Deep Water Culture. Moreover, it is called “Deep” because the reservoir is simply deeper than in other hydroponic setups. What’s important to understand is that the deeper reservoir allows the nutrient levels to stay much more stable, which is of great benefit to you as a marijuana grower. Well, stable nutrient levels simply mean a stable and peaceful life for you as a cannabis cultivator – there is simply less fussing around and freer time to enjoy whatever you want. Less monitoring = a happy marijuana grower, it’s that simple. On the other hand, DWC is also named Deep Water Culture since it submerges the roots deep into the solution for a big part of the time. 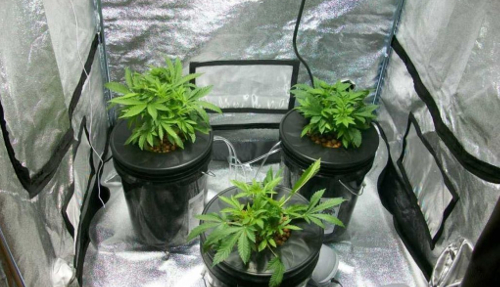 That is another immense benefit of DWC systems as the roots grow very large and make up for growing large marijuana plants in return, so it comes as no surprise that DWC systems are rated among the largest hydro yielding setups. With other hydroponic systems, growers, and especially the novice ones, often encounter difficulties due to the moving parts, however, DWC gets a bonus point on that one, as very few parts will move as to cause confusion. On another note, some of the downsides of a DWC system include the difficulties regarding sustaining the correct water temperature in the reservoir (yep, we mentioned low-maintenance but adjusting the temperature will be up to you). Nevertheless, if a pump failure happens and you miss catching the problem on time, this can kill your entire crops by the lack of oxygenation. But then again, keeping an eye on your system will save you from that trouble. As a rule of thumbs, make sure you equip with the following: a spare reservoir, and a spare pump. You already know why you may need to have a spare pump handy. J When it comes to the reservoir, you will want to change the water by purifying it which requires you to leave clean water in the reservoir for 2 to 3 days. Meanwhile, it is best to have a spare one, that’s for sure. On another note, some DWC systems are pretty noisy (that depends on the pump), so you need to consider this an advantage before purchasing yours if noise is an issue to you. But then again, regardless of some minor disadvantages, you need to be aware of as to act and react accordingly, hydroponic setups can really shoot your marijuana growing game to another level! Just assemble your basic kit, including nutrients, a room thermometer, a pH meter, a PPM meter, and you are good to go. No need to mention suitable lights because this one is a MUST no matter of your preferred growing method. Sounds fairly easy, don’t you think?